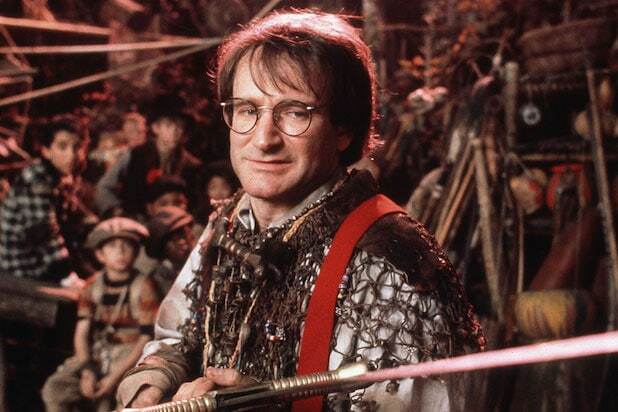 The initial idea for the 1991 Steven Spielberg film "Hook" came when screenwriter Jim Hart's six-year-old son Jake asked him an innocent question one day: "What if Peter Pan grew up?" 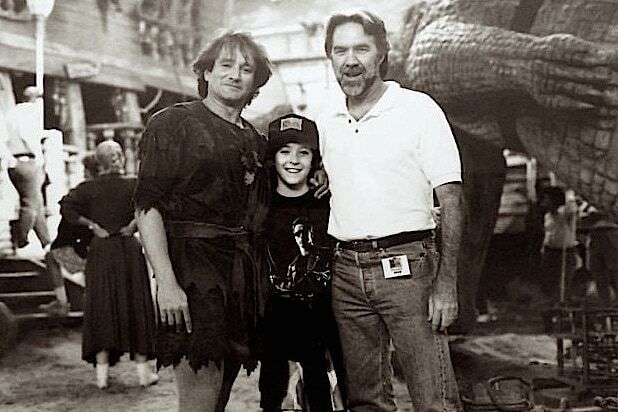 It was a few years later until the film got made and Jake, then 11, (pictured center, flanked by Robin Williams and Hart) got to be one of the Lost Boys. "He was in all of the battle scenes, trained with combat choreographers and played on that set all summer," Hart told TheWrap of his son's uncredited role -- one that Spielberg personally offered to him. Read on for more on this behind-the-scenes story. You can also find "Hook" trivia, quotes and goofs on IMDb. There's a longstanding report that two people seen kissing on a bridge in one scene are, in fact, "Star Wars" colleagues George Lucas and Carrie Fisher. The scene happens early in the film as Tinkerbell (Julia Roberts) carts off Peter Pan (Williams) to Neverland. TheWrap confirmed with two "Hook" filmmakers -- and Fisher herself -- that the kissing duo is indeed she and Lucas. "Hook" didn't get great reviews when it first came out, and Spielberg himself has admitted it's not one of his favorites. "I don't love 'Hook,' but my kids do," he said in a recent interview. Despite any negativity, it earned five Oscar nominations and made more than $300 million worldwide. Fans are the ones who demanded some celebration of the 25th anniversary, Hart told TheWrap. "It wasn't on the studio's or even Steven's radar," he said, noting that he has met fans with "Hook"-inspired tattoos. 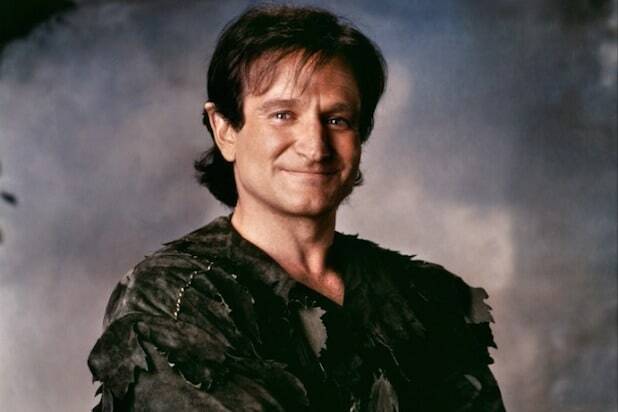 Discover more "Hook" trivia, quotes and goofs on IMDb.